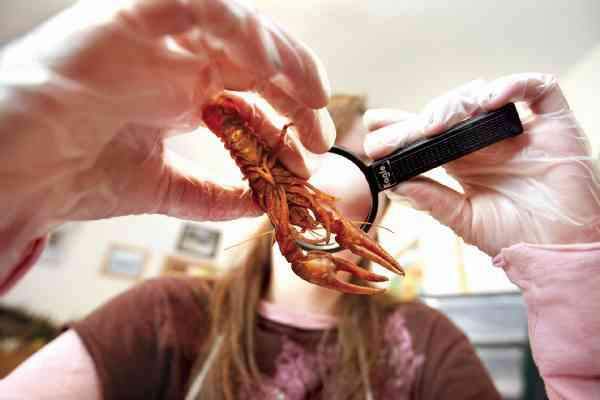 Harmony Meadows, 16, uses a magnifying glass to get a closer look at a crayfish she is dissecting as part of a home-school assignment March 2 at her Bayfield home. Bayfield mother Janet Steele keeps a curious item stashed in her closet: a bag of embalmed critters, including a worm, crayfish, perch, grasshopper, clam and starfish. If these specimens sound like something from a high-school biology class, that is because they are. But this class takes place in Steele's home. She is among an unknown number of parents in La Plata County who choose to educate their children at home. Home-schoolers laud Colorado as a state that makes it relatively easy for parents to pursue this option. Under state law, parents need only let a school district know their decision and provide the district with results of achievement testing every other year. "It's just really flexible the way it's written," said Pahmela Hines, with the schools of choice unit at the Colorado Department of Education. Because there is no enforcement, education officials acknowledge that many home-schoolers don't register, which suggests their numbers are much greater than statistics indicate. Durango School District 9-R was shown having only 60 home-educated students in fall 2008. Other home-schoolers are registered with an umbrella school out of state or participate in a private online school, further complicating the task of counting them. However many there are, home educators say they see their numbers growing as the Internet provides limitless materials and acceptance of it grows among colleges. "In the past, everyone thought our kids were going to be social misfit mutants. It's just not an issue now to be home-schooled," said Durango accountant Tommy Meadows, whose wife, Holly, home-schools their three children. Though each family's approach to home education is unique, the parents generally agree they were drawn to the option because of the freedom it affords and because of the close relationship it fosters with their children. But it's not the right choice for everyone, they say, and it comes with sacrifices, most notably in lost income, as at least one parent serves essentially as an unpaid teacher. But parents said the satisfaction they get in knowing that they are their children's primary educators and character role models is the only recompense they need. "That's really what makes me passionate about what we're doing," Meadows said. Of homes and holesHolly Meadows settled into a study room at the Durango Public Library to recount how she became a home-schooler. Wearing a sweatshirt that says "Lead me not into temptation, especially bookstores," Meadows said she was attending law school at the University of Texas and working for the Internal Revenue Service when she heard a piece about home schooling on talk radio. "I thought, 'Oh, we have to do this,'" she recalled. Her daughter Harmony was 4 years old at the time. Meadows said she had never known anyone who home-schooled and, before that day, had the same preconceptions as many might. "I was pretty sure it was the David Koresh types who did it," she said, referring to the late Branch Davidian cult leader in Texas. After her spontaneous conversion, she quit school and her job and set about her new occupation with zeal. Her initial approach was to replicate what they did at school - but more and better. Looking back, she realizes she was so worried about silencing the critics in her circle by wowing them with Harmony's academic prowess that she forgot to make learning fun and flexible. 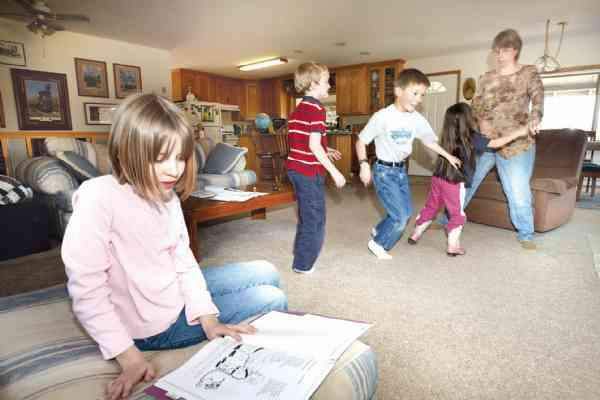 It wasn't until another home-schooler performed an "intervention" that she began to assume a more freewheeling approach. Now, with the family relocated from Texas to rural southwest La Plata County, she says she lets her kids' interests lead the way. For instance, when her daughter Aspen was 8, everything she learned related somehow to horses because her daughter was obsessed with them. "It went from a structured thing we do, to it's how we live," she said. She said she doesn't worry about her children missing some critical area of learning because in reality, all education is limited when compared to the infinite areas of study that exist in the modern world. "My education is full of holes," she said. "And I got straight A's." "Speaking of holes, I have a hole in my pocket!" 8-year-old Tommy chimed in. Today, Meadows and her husband lead Christian Home Educators of La Plata County, or HELP, providing support and guidance to those pursuing a similar path. No halls, no bellsSimilar to the Meadows family, religion is part of the education Liz Evans hopes to impart to her six children, all of whom are home-schooled. On a recent day at her Forest Lakes home, Evans explained her experience home-schooling while preparing a lunch of fried rice for her kids, who eat at a table with long benches in the kitchen. 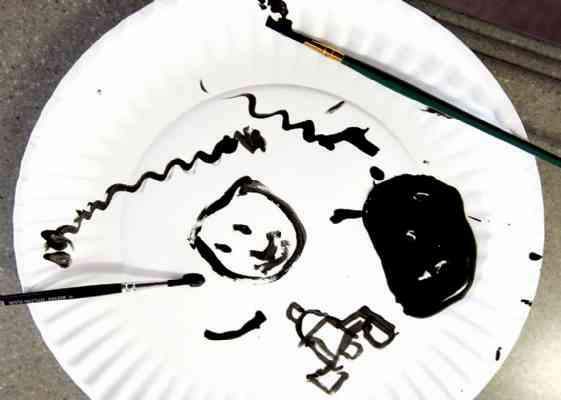 Speaking over the din of excited voices, she signaled a piece of paper stuck to a kitchen cabinet. It's their daily schedule. "It's actually a fictional document," she said. Typically the group is sitting down to breakfast about the time other children are starting school, she said. Among the subjects they are learning: Chinese, a language she and her husband, Kalvin, learned while in the U.S. Air Force. She, too, describes having gone through a process of liberalizing learning. "I used to be much more rigid," she said. "At first I was trying to do like a normal school." Now she makes her own curriculum, aggregating myriad resources, both printed and experiential, such as volunteering at an equine therapy program. Finding inspirationReligion is not among the motivators for all home-schoolers. Cindy Pitz started Southwest Eclectic Homeschoolers when her daughters were young as a resource for secular home educators. Pitz said she became disillusioned with school-based education after visiting a kindergarten class near their California home and observing that all the coloring sheets on the wall were identical and the students seemed uninspired. "I was just sickened by how bored they were at 5 years old," she said. Now Pitz's younger daughter, Aiyana Anderson, plans to attend the start-up Animas High School in the fall. "I've never been to public school so I would like to experience it," said Aiyana, a poised 14-year-old who will enter the school as a freshman. But she said she has no regrets about her home-school education, because it allowed her more free time and let her learn at her own pace. 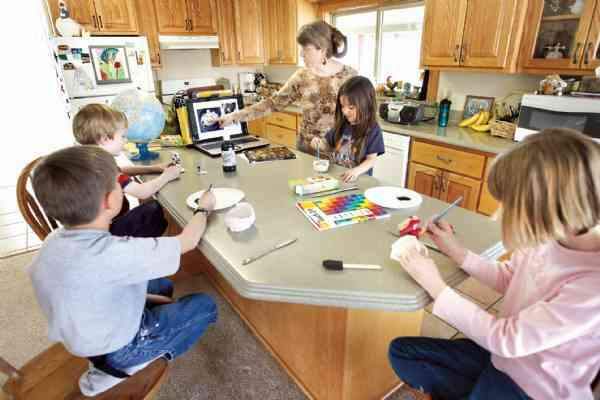 Home-schooled but not a homebodyAll the families interviewed said they are confident their children are receiving ample opportunities to see and make friends despite staying out of that social caldron that is a school cafeteria. They reported hooking up with other home-school families for everything from ski outings to literary galas. "If you want to be a hermit, you have to work really hard," said Holly Meadows, who teams up with the Steeles once a week for classes. "We can play to our strengths," said Steele, who is teaching them biology, French and astronomy while Meadows teaches literature and art. Meadows said too much of the socialization students receive in junior high and high school is negative anyway. "There's equipping them (for life) and then there's trial by fire," she said. 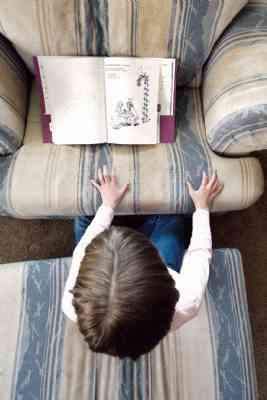 Pitz argued that the rewards of home schooling aren't just for the children. "You develop a bond with your kids that I think would be hard to maintain if they were gone," she said. And like all children, home-schooled or not, all too soon they will be. •The Colorado Department of Education’s Web page on home schooling includes a link to the state law, resources and frequently asked questions. www.cde.state.co.us/ cdeedserv/homeschool.htm.